Ah the joys of being almost 46 and STILL being acne-prone. Yes, I’m nearly middle-aged and I can still manage to get a zit. Most of the time this happens when I don’t pay attention to what I’m eating (i.e. acne-triggering foods) and/or or when I’m testing out competitors’ products. I can truly be my own worst enemy at times. Lately I’ve been craving peanut butter. Specifically peanut butter spread on a banana. I have no idea why (no, I am NOT pregnant). 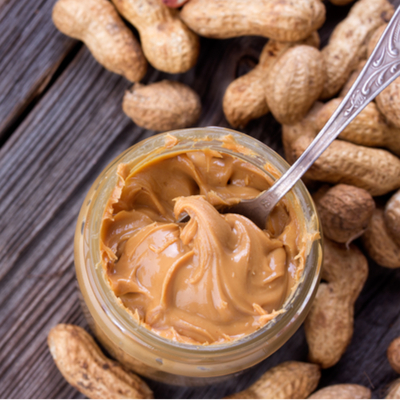 I really try to stay away from peanut products because peanuts are high in androgenic hormones which can cause acne flareups. The proof is in the pictures in this article. As a result of my peanut butter and banana debacle, a big ‘ol zit reared its ugly head right on my chin. I played and therefore, I paid. This zit hurt- it was raised, very inflamed but there was no ‘head’ on it so I wasn’t able to try and extract anything. For the record, I do NOT advise anyone to try and ‘pop’ their own zits. I’m a licensed esthetician and a certified acne specialist of over 12 years. I know exactly what to do and how to extract pimples properly so as not to cause scarring or further infection. I also know when NOT to try and extract a zit. In this case, I had to use a great spot treatment ASAP otherwise this zit was going to get big enough to have its own zip code. Yikes! First, I removed my makeup and washed my face with PRIIA’s acne-safe makeup remover. I LOVE this stuff. My skin is left feeling clean and soft- not tight and stripped. After I cleansed, I used PRIIA’s Hydrating Skin Spritz as my toner. Both our makeup remover and Hydrating Skin Spritz are pH balanced. Yay! Then I applied ice to the zit for about a minute. (keep that ice cube moving so as not to cause any ‘ice burns’ on the skin). Next, I sprayed one pump of Hydrating Skin Spritz into the palm of my hand. 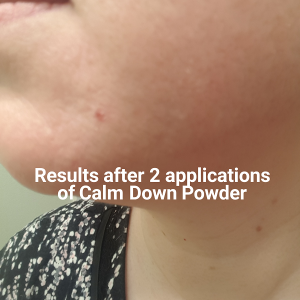 I then sprinkled some of PRIIA’s Calm Down Anti-Blemish Powder into my palm and I made a thin paste. I applied this paste to my zit and went to bed. I only slept about 5.5 hours (my cats woke me up waaaay too early) this night but you can see in the picture how the inflammation was significantly reduced. The zit was no longer raised. It no longer hurt. It had basically just turned into a small flat light red spot. I did the same treatment the following night before bed and by the next morning it had faded away almost completely. I’m thrilled with the results. 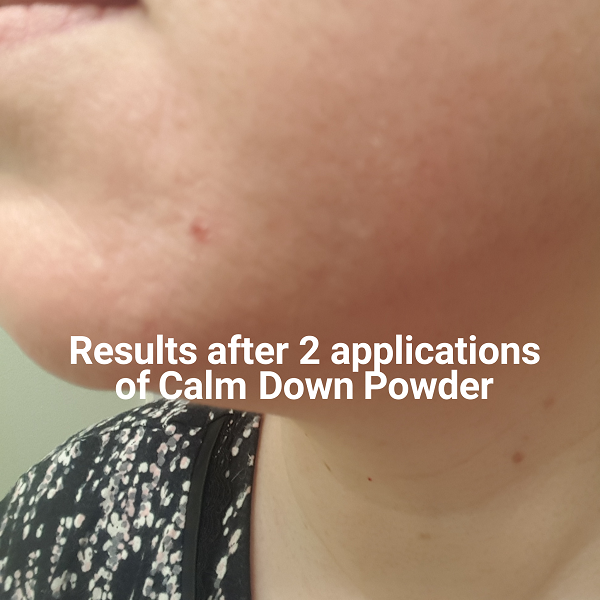 A bonus was that the skin surrounding the zit did NOT get dry, flaky or irritated from the Calm Down Powder paste. Winning!!!! 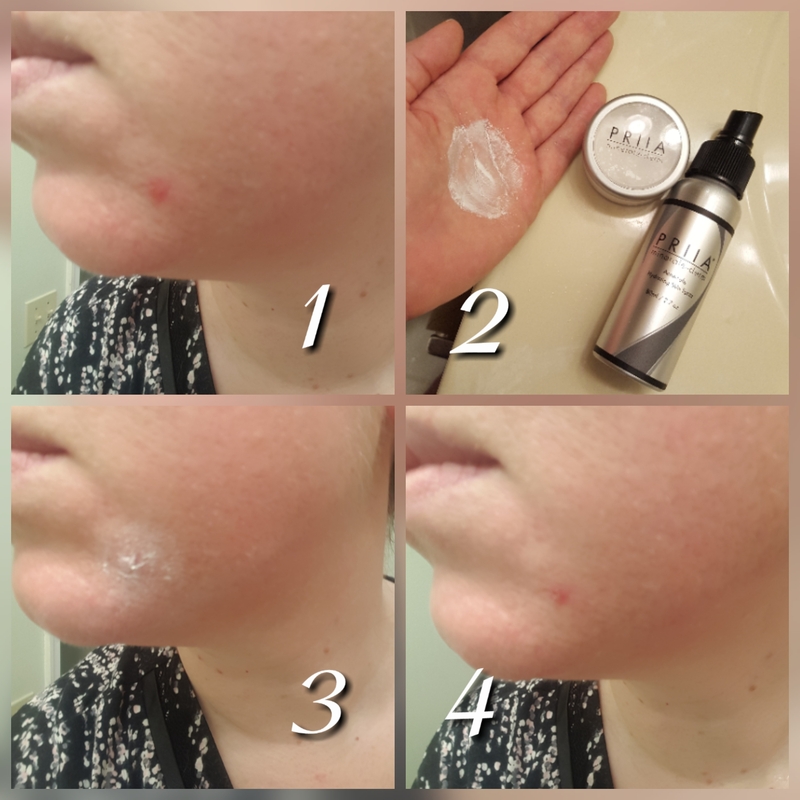 I highly suggest giving this blemish spot treatment a try! *Medical Disclaimer: The contents on this site are for informational purposes only, and should never be a used as a substitute for seeking the advice of a medical professional. No content or products on this site is intended to diagnose, treat, cure or prevent any disease or condition. PRIIA® Cosmetics assumes no liability for any claims arising out of the misuse, allergic reactions, or any injury suffered with the consenting use of the products offered/suggested on this site. 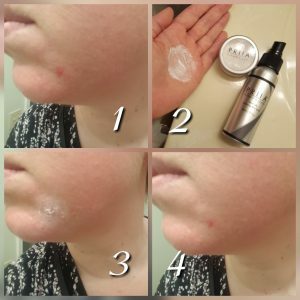 This entry was posted in PRIIA Mineral Makeup, Quick Tips: Skin Care, Skin Care & Treating Acne and tagged acne, acne safe, blemish, hormones, peanut butter, PRIIA, skin, spot treatment, zit on March 7, 2018 by Kelley Maddison. 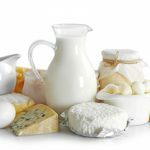 Many individuals with acne don’t even think to consider that the foods they eat may be contributing to their breakouts. In actuality, what you consume plays a huge role in how your skin behaves- good or bad. The biggest nutritional culprits for triggering acne breakouts are iodides (and foods that contain them) and foods that are high in androgens. Iodides irritate the follicle lining prompting inflammation resulting in breakouts to occur. Androgens stimulate the hormone testoterone which signals the sebaceous (oil) glands to start working overtime. More inflammation + more oil = more acne. In looking at these lists you may be wondering, “Well what CAN I eat?? ?” First, take a deep breath. You don’t have to cut out these foods entirely. However, if you have acne you should consider significantly reducing the intake of these foods in your diet. In my next blog post, I will share which foods you can use as substitutes for those high in iodides and angrogens. Until then, try to begin reducing some of the acne triggers foods listed above. This entry was posted in Skin Care & Treating Acne and tagged acne, breakouts, dairy, food, iodides, peanut butter, shellfish on January 18, 2017 by Kelley Maddison.